Bacon’s Star Chamber position allowed for his prisoner facing torture to 1) self-incriminate 2) face charge of perjury if unsatisfactory answers were provided or 3) be held in contempt if no answer was given. A reputed pederast accused of ‘buggery’ (which he denied), as well a habit his brother, educated by the same cleric, was also reputed to be fond, prosecutions for this in the upper class seemed rare; as King James was apparently of identical persuasion. Bacon went on to write of an utopia where no scent of ‘masculine love’ was to be found; and as if to convince, he married a 14 years old girl at age 48. Her subsequent preference for other men points to a rather starved appetite, which can come as no surprise. 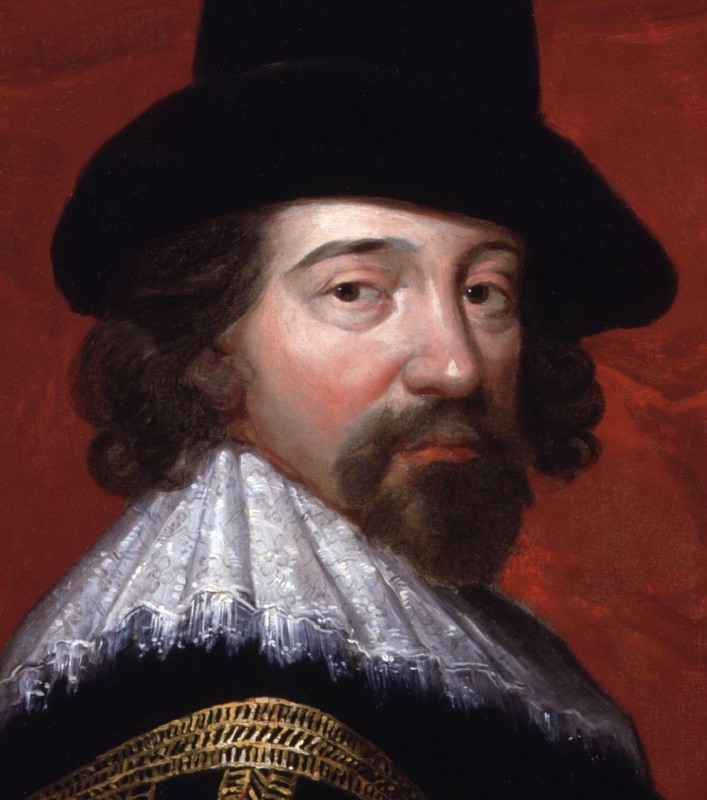 And it is of this rancid bacon, folks, inspiration for the modern ’empirical method’ comes to us behaving as an intolerant religion; replete with ‘scientific’ dogma and its narrow rut of inquiry. I don’t think perversion, psychopathy is only a western culture plight. It seems to exist everywhere no matter what race, nationality a person is. Savagery, brutality is pretty much global. With this in mind, l still defend the western canon, warts and all. I only say this because of the systematic trashing of any and all DWEMs and the PC mediocrity that now chairs University depts. because of it.